The NordicTrack ASR 1000 elliptical offers an awesome StrideMax Power Incline Ramp which allows the user to get a strenuous workout on all the muscles groups of the legs, as well as blast calories and fat in your body. There is also an interactive touch screen display so you play video games and stay motivated. The NordicTrack ASR 1000 elliptical offers 22 workouts plus manual control. And when you’re bored with those, you can try training along with the audio iFit® Workout Card Technology -- which can be purchased separately. The cards offer beginner to advanced programs. The machine also comes with 4 interactive video games: Calorie Destroyer™, Fat Blocker™, Black Jack and Texas Hold 'Em. 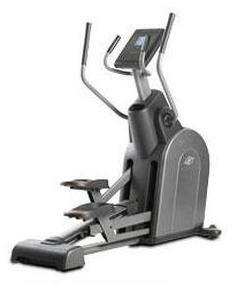 UPDATE: The ASR 1000 is an older model elliptical and is no longer being sold by the company. You can check out all of the latest NordicTrack reviews here. 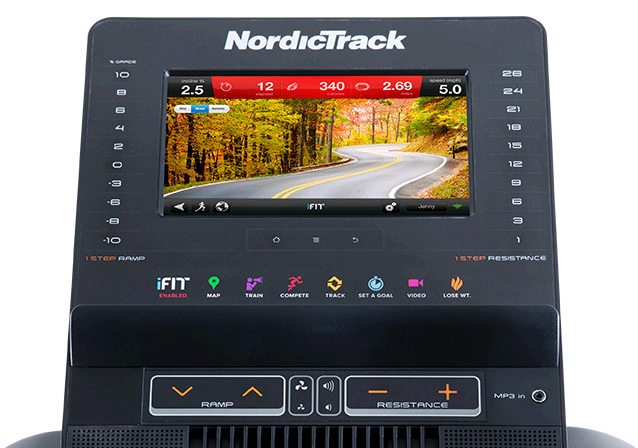 Experts remark that the NordicTrack ASR 1000 is offered at an unbelievable price considering all of the nifty features it comes with. The 30° incline ramp (a patent owned by Precor and used on their high end machines) is a strong selling point, as is the amount of programming on the display console. The main drawback of the ASR 1000 elliptical is in the short parts/labor warranty. There are a lot of expensive electronics in this machine to replace if you aren’t covered by a warranty, and power incline motors are notorious for burning out fairly quickly. Customers also like all the great features of the NordicTrack ASR 1000 such as the MP3 plug-in and premium speakers, and touch screen technology, but unfortunately, consumers are disappointed with several aspects of the elliptical trainer’s actual design. Specifically, they posted in elliptical reviews that they found problems with the choppy motion of the pedaling which was not as ergonomical as other trainers, the moving arms were somewhat uncomfortable for small and tall users alike (the backswing of the arms tend to put the shoulders too far back), and customer service was poor. Another disappointment was that the machine looks like a tank but it has a subtle unevenness, perhaps even a wobble, during operation. The NordicTrack ASR 1000 elliptical trainer is priced at an MSRP of $1799, but can be found on sale online for as low as $999. For that price, it’s a decent buy, but when we compare this side-by-side with NordicTrack’s rear flywheel design, the AudioStrider 990 which also comes with a 30° power incline ramp and was voted a “Best Buy” by Consumer Reports, we have to give the node to the 990.